As I concluded last week, we were in the midst of the Vatican’s Meeting on the Protection of Minors in the Church. This week, I would like to share my experiences of the remainder of the conference as well as offer some thoughts on the gathering as a whole. As I mentioned in my last post, over the course of the three-day meeting we heard from a number of different speakers and heard witness talks by abuse survivors that represented the universality of both the Church and of the challenge of child protection. In so many parts of the world, the issue of clergy sexual abuse is dismissed as an American or Western phenomenon. 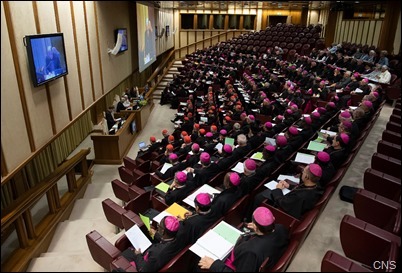 So, the conference was designed particularly to underscore the universal nature of the problem and to demonstrate to bishops all over the world that the leadership in the Church must own the problem and commit to making safeguarding their priority. The witness talks by the victims and survivors were very, very powerful and represented people from many different countries. The addresses at the summit were also quite powerful, as well. A number of the talks were given by women and people from the global South, which I think was a very intentional effort to try to dispel a lot of the myths about safeguarding not being a crucial issue everywhere in the Church. As I said, all the talks were excellent, but I was particularly moved by the address of Valentina Alazraki, a veteran Vatican journalist from Mexico, who gave a very compelling presentation on the role of the media and what the Church’s relationship with the media needs to be. A very powerful witness was also given by Sister Veronica Openibo from Nigeria. Of course, Saturday evening there was a penitential service that was held in the Sala Regia, which is the hall just outside the Sistine Chapel. It was a very historic setting for this important event. There, we heard an address by Archbishop Philip Naameh of Tamale, Ghana. 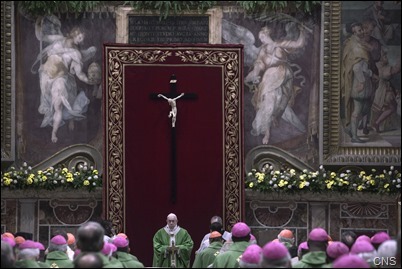 The following day, at the closing Mass, the preacher was Archbishop Mark Coleridge of Brisbane, Australia. 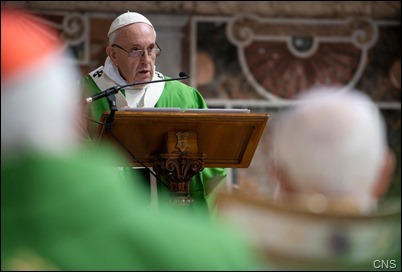 Then, we concluded with the address by the Holy Father to the bishops, in which he underscored dimensions of the problem of sexual abuse of minors both inside and outside the Church. For many of the bishops, I think the conference was a very transformative experience. For many of them, it was the first time that they were listening to victim/survivors; it was the first time they were hearing about the challenges of safeguarding and the responsibility of the bishops. When you think of the fact that there were 200 bishops there representing over 180 bishops’ conferences, plus several different bishops or patriarchs in charge of different Eastern Rites of the Catholic Church, you realize this was the leadership of over 1 billion Catholics in the world coming together to reflect and pray about this issue, which in countries like the United States we have grappled with for years. However, for many bishops, it was the first time that they were being exposed in a serious way to this issue. I was very edified by the spirit among the bishops who realized that this is something the whole Church must work to address to ensure the safety of children. 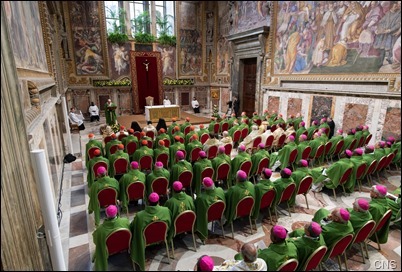 We may not have resolved all the issues that we face in the United States around the accountability of bishops and so forth, but for the Universal Church I think it was a huge step forward. Obviously, we are looking for concrete measures to come out of this meeting. We know that Archbishop Scicluna has said that there is going to be a vademecum published by the Congregation of the Doctrine of the Faith to help people to know, every step of the way, what the response needs to be in individual dioceses. We will also be meeting with the Pontifical Commission for the Protection of Minors to continue our work on an auditing process, so that we will be able to offer to the Church an instrument that will allow for an independent evaluation of the implementation of child protection policies in each bishops’ conference. We envision that will be part of the ad limina reports — that when each diocese must report on the situation in their diocese, a very thorough report will be given on how their safeguarding protocols are being implemented. Of course, the talk by Cardinal Cupich outlined once again a program for reporting of the malfeasance of bishops. Discussion of this was begun at the U.S. Conference of Catholic Bishops’ meeting in November and will be the major topic of the upcoming meeting in June. Finally, I want to mention that once again this year at Ash Wednesday services throughout the archdiocese, there will be a special collection benefitting Catholic Charities. Proceeds from this Special Collection will support their critically important work helping local vulnerable families and individuals on their journey toward sustained self-sufficiency. Last year, Catholic Charities distributed nearly 4 million pounds of food to more than 100,000 individuals, provided 6,500 nights of secure housing to women and children, and provided critical support services to more than 20,000 immigrants and refugees. Please join me in supporting their important mission on Ash Wednesday, March 6.